Looking for a Dallas Town Car Rental Service, our limousine company can provide all sorts of options and discount rates on Lincoln Town Car Rentals. Because most transportation companies have a Lincoln Town Car as part of their fleet, we can almost guarantee one is available for you at anytime. This provides the best options for capacity, models and pricing. Check out all the available service options with your Dallas Lincoln Town Car Service Rental. The Lincoln Town Car is notorious for being the prime option for Airport Transportation. Fit up to 3 passengers with luggage space to accommodate at an affordable price. 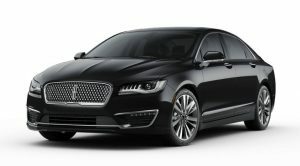 Lincoln has produced more models over the years that we offer, but the term "Town Car" has its place in history as THE car for Corporate, Business and Black Car Services. Professional Chauffeur Services come complimentary with all Sedans and Lincoln Town Car Rental Services. Inexpensive transportation option, Lincoln Town Cars are a great option to travel with a couple friends to any of the awesome events around Dallas. Lincoln Town Car is an affordable option for that romantic Anniversary celebration. Black Lincoln Town Cars and Black Lincoln Sedans available for all Funerals and Memorial Services. Let us handle the transportation and parking while you enjoy any of the many Concerts around Dallas. A Lincoln Town Car is great for Wine Tours if there is just a few of you and you can't decide on who will be the designated driver. Tour your choice of any of the top breweries in Dallas in a Lincoln Town Car. If a Limo or Vintage car is out of your budget, we have classy and elegant Lincoln Town Cars and Sedans for you to choose from for your Wedding Getaway Car.